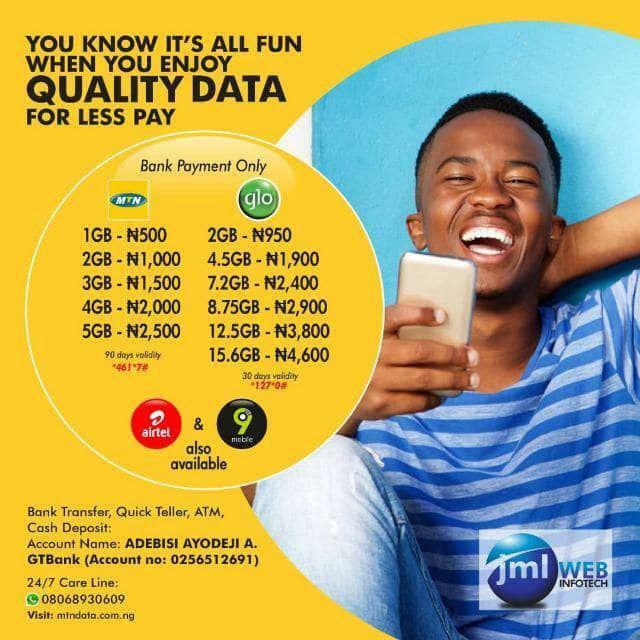 Suggestion, feedback or question regarding this site www.mtndata.com.ng, is always welcome. I value all MTNDATA’s readers and I will try to get in touch with you ASAP. I will try to get back to you ASAP, but due to time constraints I might not reply as quick as you expect. It might take hardly more than 72 hours in such cases. I really appreciate your support for this site. Note: If you don’t hear back from me within a week, your question may have gotten lost in cyberspace, so feel free to resubmit the email.